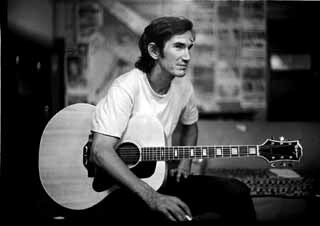 Someone once asked Townes Van Zandt, “How come most of your songs are sad songs?” Townes answered: “I don’t think they are all that sad. I have a few that aren’t sad, they’re like… hopeless. Totally hopeless situation, and the rest aren’t sad, they’re just the way it goes. I mean, you know, you don’t think life is sad?” Yes, life is sad. And beautiful. Townes was an amazing songwriter. In our live set we often play a cover of Townes Van Zandt’s “Nothing.” We take it from a hushed whisper to a raucous roar. Our version was inspired by Robert Plant and Alison Krauss’ take on their glistening “Raising Sand.” Powerful, inspiring, radiant. Sad.